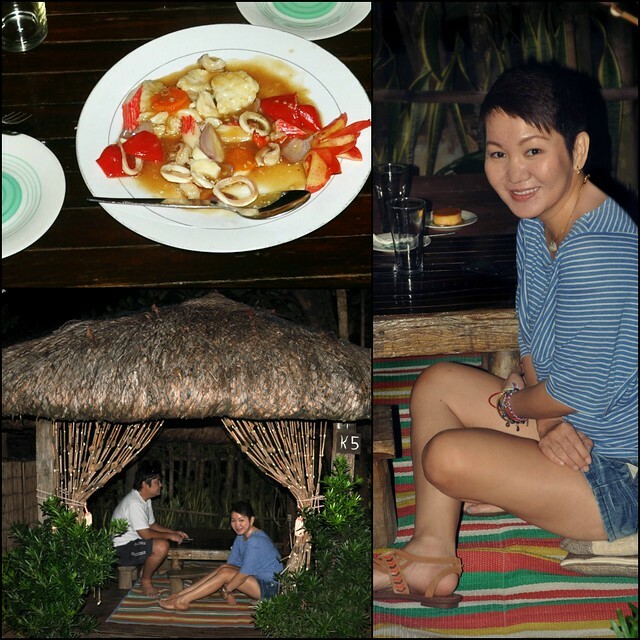 The weather is perfect here in Ilocos. A little late for the sun. 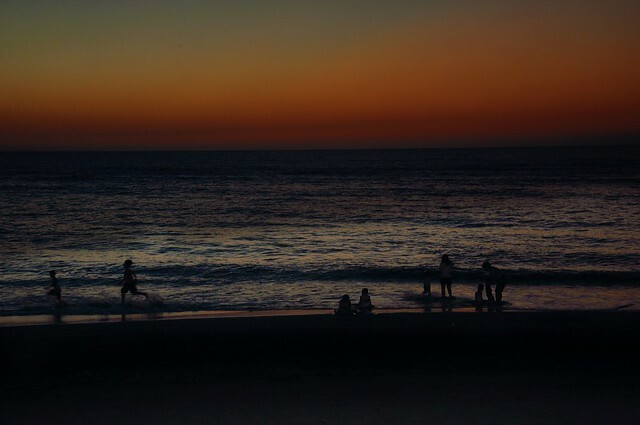 Nevertheless, the cool warmth at the beach was invigorating. Weekend beachgoers were a plenty. 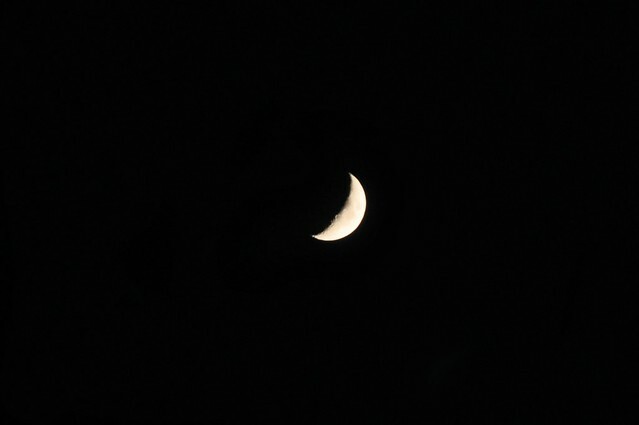 I shot the moon instead. It looked as if happily snoozing. Later in the night, we snuck away to enjoy some appetizers at Mario’s, which blogger Herdy La Yumul recommended for nice ambiance and realistically priced food and beer. The mixed seafood was a good introduction. The rock ballads from the 80s were sort of a downer. Must be the volume or the sound system — acoustic or Pinoy band sound would have completed the homey aura, suits the youngish habitues better, I guess. Nonetheless, love the private spaces. 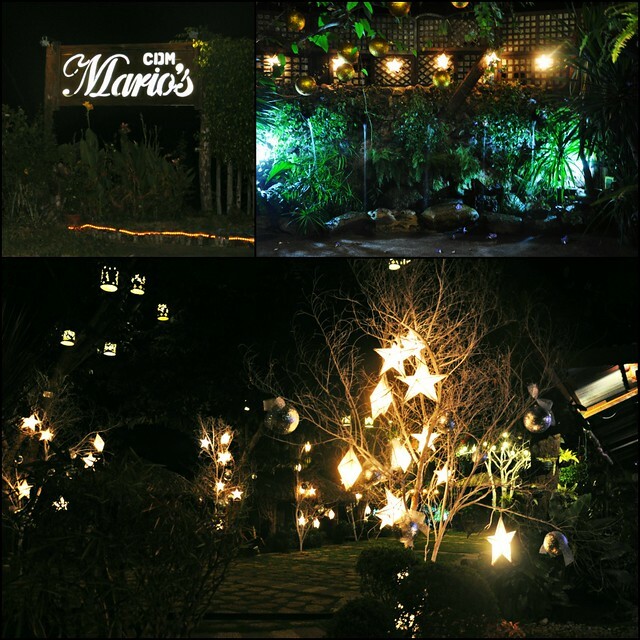 Mario’s is located in Calayab, along the road to Fort Ilocandia. 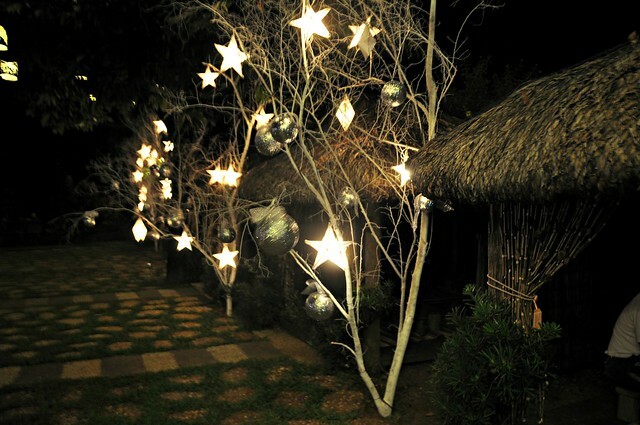 The parol (Christmas lantern) stand by the road caught my attention. 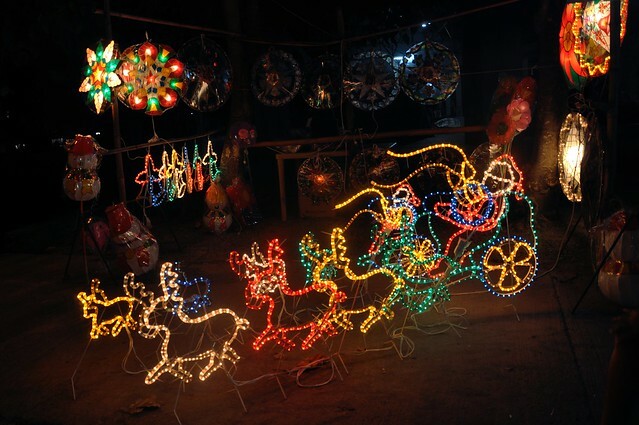 In the Philippines, parol signifies the Christmas season. Traditionally, a handmade star parol is hung by the window. Today, designs are getting more modern, but I still prefer the old style basic parol made with Japanese paper, cellophane and bamboo — more eco-friendly, economical, and safe. i know what you mean tina..i would rather have the old fashioned parol andthe old fashion christmas tree we were brought up with flower of the plant called maguey. korek Tita! maguey with soap suds fascinated me more when i was young.